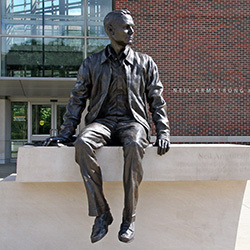 The Purdue University Board of Trustees on Friday, Dec. 16th, approved the head of the School of Aeronautics and Astronautics to a named department head position. 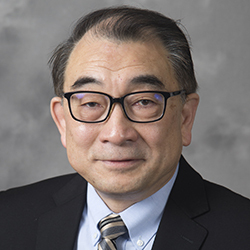 Dr. Tom Shih was ratified as the J. William Uhrig and Anastasia Vournas Head and Professor of Aeronautics and Astronautics. 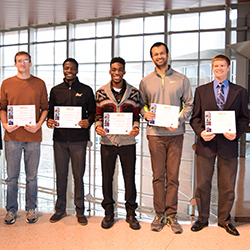 AAE held its 3rd annual Graduate Research Symposium on September 27, 2016 in the Hall for Discovery and Learning Research on the Purdue campus. All Ph.D. students who will graduate in 2016-2017 presented talks on their dissertation research, and a portion of AAE’s 100+ M.S. students presented posters on their thesis research. 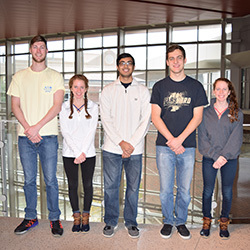 A team of AAE Prof. Steven Collicott's undergraduate students has been selected by NASA to test its spaceflight hardware design in NASA’s Micro-g Neutral Buoyancy Experiment Design Teams (Micro-g NExT) program. 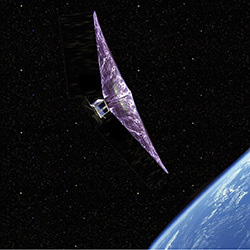 The team is designing a tool to anchor an astronaut to the surface of an asteroid. Dan DeLaurentis, Purdue professor of aeronautics and astronautics and President's Fellow for Defense Initiatives, has been named the inaugural and interim director the Institute for Global Security and Defense Innovation in Purdue University's Discovery Park. Professors R. Byron Pipes and Wenbin Yu and Research Asst. Prof. Johnathan Goodsell received a 2016 Seed for Success Award for their work with the Institute for Advanced Composites Manufacturing Innovation (IACMI). 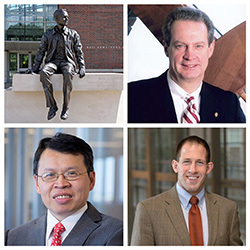 Three AAE faculty members were recognized recently for milestones in their years of service to Purdue University. More than 250 faculty were honored during the Faculty Service Recognition Luncheon November 4th, hosted by the Office of the Provost. 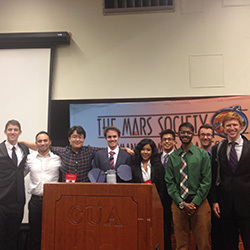 The Mars Society Purdue Chapter won 3rd place in the International Gemini Mars Design Competition. The competition involved designing a two-person Mars flyby mission that can be launched no later than 2024 as cheaply, safely and simply as possible. 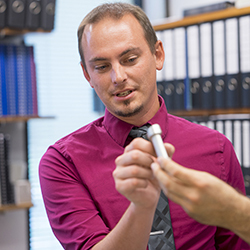 A technology being developed by Purdue AAE alumnus Adam Weaver (MSAAE '12) could provide a more effective way to efficiently deliver coolant to turbine blades in gas turbine engines, one of the most widely used power-generating technologies. The innovation could potentially make engines on a global scale more efficient, safer and environmentally friendlier. 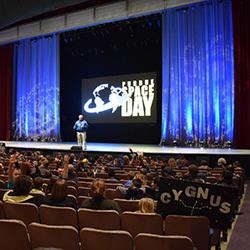 Purdue researchers working on the Aerodynamic Deorbit Experiment (ADE) won the opportunity from United Launch Alliance to send their experiment on a future Atlas V rocket mission. 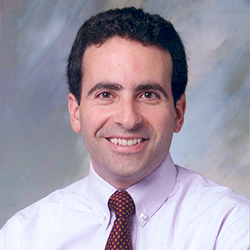 AAE Associate Prof. David Spencer is the PI on the project. AAE Prof. Alina Alexeenko is co-PI.